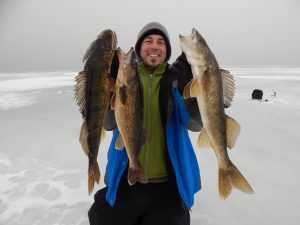 Participate in a day you’ll remember for a long time: come and experience ice fishing. Full day only. Maximum 4 fishermen. Equipment and bait provided (angling, tip-ups, bait, sonar). Licenses extra.